Thanks to developments in technology, many things have changed. Before, taking pictures using film was a painstaking process, and consumed much time and money. Each shot cost you one part of a limited roll of film. There was no preview mode, and we had no choice but to develop all pictures, including the bad ones. Shooting an entire roll of film did not even guarantee we would get a single shot we liked. When digital cameras arrived, everything became easier—much more so when smartphone cameras were introduced and improved, with applications for giving us quality pictures. 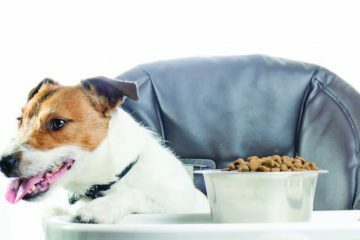 The ease of using a digital camera and the popularity of social media created more reasons for pet hobbyists to take pictures. 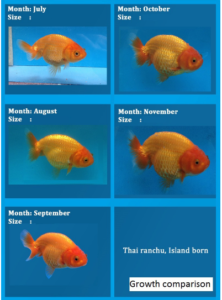 • To help sell their pets I will share my experiences and learnings with basic fish photography. 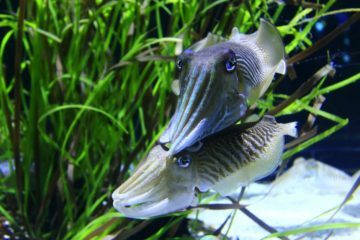 Fish are more difficult to take pictures of than other pets because of factors such as water refraction, glass reflection, and fish movements. But there are ways around this. Advanced photography techniques use DLSR cameras to control shutter speed, aperture, and light exposure. Additional lens filters minimize glare. Smartphones can also produce great pictures. Use a smartphone whose camera has a minimum of 6 megapixels. This will give you room to edit your photos if needed while still letting you take quality photos. Good natural light will compensate for the absence of shutter speed control in a smartphone. To minimize glare, change the angle of your camera. 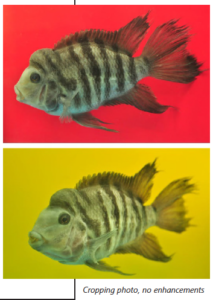 The selection of background is crucial to show the color of the fish. 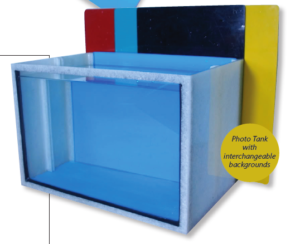 You can create your own photo tank by using a standard 2 ½ or 5 gallon tank. For a background, use plastic table sheets with different colors; these are available at any local marketplace. You can also paint wood or galvanized sheets. 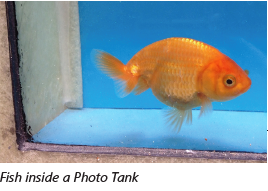 Place the backgrounds outside the tank. 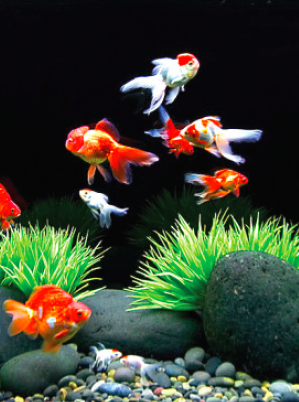 Fish photography is a great way to enjoy our pets because of the memories it gives are larger than life!